Hello, as the title states, this is a MGS Mod!!! The version is currently at 0.0.2 so there is plenty of time before 1.0.0 to add things and fix bugs. The list is small, but gradually it'll get bigger. 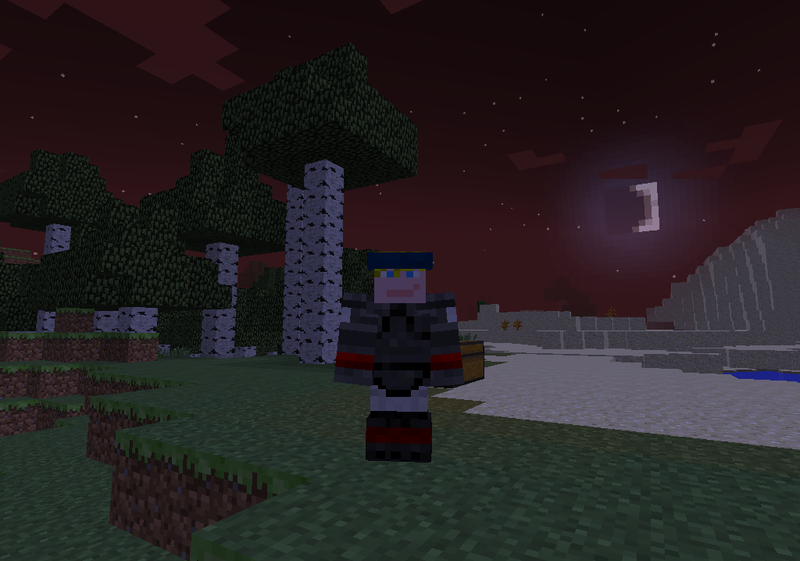 Here is the Sneaking Suit I made. All textures are done by me using Photoshop. I do not own the Metal Gear franchise, all rights to the series go to Hideo Kojima. In the comments, suggest something to add, but please note this one detail. I am NOT adding any Metal Gears. Now, have fun! Add octocamo that blends automatically with the trees, types woods, anything. make it look exactly like, ex. grass blocks. I can see a lot of potencial in this mod. Woud be amazing to see the Metal Gear series in Minecraft, but I do think you could add the following features into the mod. I'll put the suggestions into a spoiler for you, as it may take up an entire page. I won't bore you with other suggestions I have, so I'll leave you with these. Wait, what about the solid eye?